According to various media reports, the Mets have discussed a contract extension with 1B Lucas Duda. 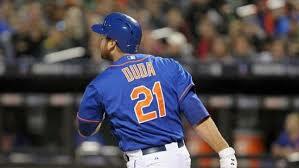 Duda, 29, hit .253 with 30 homers and 92 RBI in his 2014 breakout campaign. Talks are still considered to be in the “preliminary stage”. Duda as a Super Two player is already making $4.2 million this upcoming season but won’t be a free agent until after the 2017 season. If the Mets truly believe that Duda can replicate his 2014 season then a four-year extension worth around $30 million could make a lot of sense. There really isn’t a great comparision for Duda so its all really just guessing on what Duda’s contract could look like. It will be interesting to see what the final numbers of this contract look like should it get done but any extension for the Mets first basemen would likely begin after this season as the Mets have a very tight budget remaining as we get closer to the games at Citi Field. 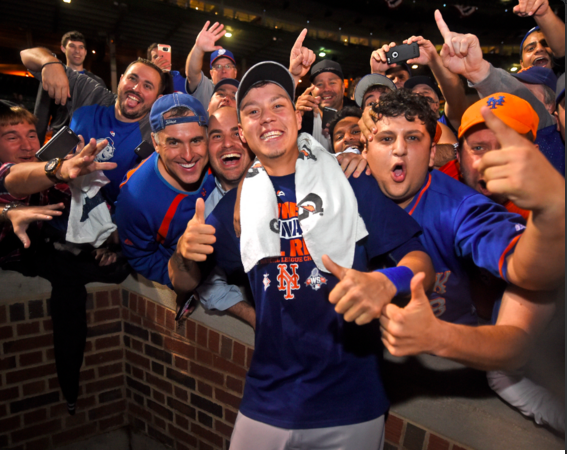 It’s encouraging that the Mets believe they have the financial flexibility to keep their core players going forward. That may not have been the case a couple years back. Duda’s agent made it clear that he doesn’t want to negotiate a contract in season so if this doesn’t get done now, it won’t get done during the 2015 season. Do you think the Mets should give Duda a contract extension?? ?